When someone says he is from Kepong, the question that follows would probably be, “Which part?” It is impossible to cover every area, so we are only exploring the area bound by the Middle Ring Road 2 (MRR2), Selayang-Kepong Highway, Damansara-Puchong Expressway (LDP), North-South Highway, Duta Ulu-Kelang Expressway (DUKE) and Jalan Kuching. The area comprises Kepong in the north with Segambut and Dutamas to the south. Some of the developments in this area are Taman Rimbuanan Kepong, Jinjang Utara, Taman Wahyu, Taman Sri Segambut, Taman Sri Sinar, Bandar Manjalara, ParkCity Heights, Kepong Baru and Taman Indah Perdana. Located on the outskirts of Kuala Lumpur, Kepong is an old and mature area that was once a major tin mining town. The area got its name because it is surrounded by the Kabusan hills (now known as Bukit FRIM) — kepung means “surrounded” in Malay. Due to the tin-mining activities, new villages were built to house a large Chinese population, which continues to be the largest ethnic group in the area today. Amenities nearby include hospitals (ParkCity Medical Centre), local and international schools such as SJK (C) Kepong 3, The International School @ ParkCity and SMK Taman Bukit Maluri, shopping malls and hypermarkets such as Brem Mall, AEON Mall Metro Prima and Tesco, banks such as CIMB, Affin and Hong Leong and restaurants such as Restoran Pak Tong and D’Fortune Western Cuisine & Cafe. Several parks and nature reserves such as the Forest Research Institute of Malaysia (FRIM), Kepong Metropolitan Park and Bukit Lagong Forest Reserve are popular with nature lovers. Other landmarks include Bandar Manjalara Lake Gardens, Desa ParkCity Central Park, Nation Drive Wilayah driving institute, Wahyu Lake and Jing Si Hall Tzu Chi KL. The development that is creating a buzz in the area is the upcoming MRT Sungai Buloh Serdang Putrajaya (SSP) Line (MRT2). 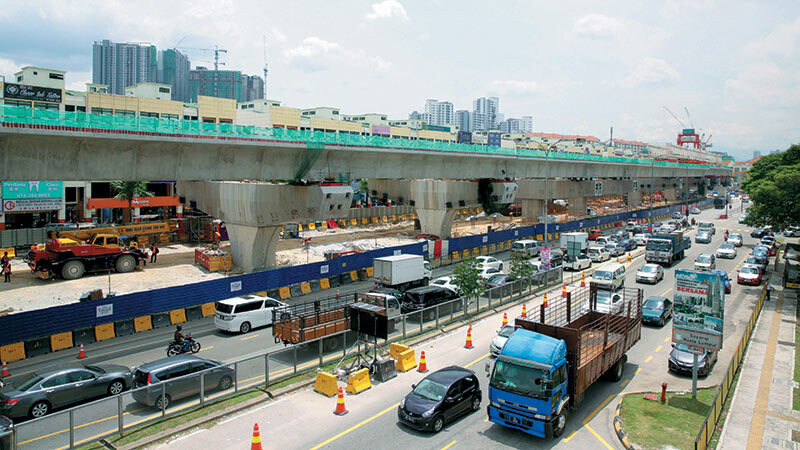 It will have five stations — Kepong Sentral, Metro Prima, Kepong Baru, Sri Delima and Jinjang — located along the main thoroughfare, Jalan Kepong, which connects the Jalan Kuching and Jalan Ipoh roundabout in the east to the Selayang-Kepong Highway in the west. The development of the MRT, says Henry Butcher (M) Sdn Bhd COO Tang Chee Meng, will boost property demand and prices as well as encourage more housing developments, especially high-rise properties. Nawawi Tie Leung Property Consultants Sdn Bhd research and consulting director Saleha Yusoff concurs, pointing out that development orders have been given for transit-oriented developments near the MRT line and more are being sought. Savills Malaysia executive vice-president Lek Chay Tong says the direct impact of the MRT has yet to be seen as it is not fully completed. “However, it has raised property prices in the area. 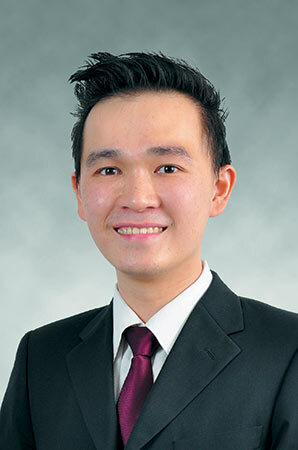 Unio Residence, for example, is achieving RM600 psf … a level that was difficult to imagine before the MRT,” he adds. Upcoming developments within 1km of the stations are The Henge and The Herz by Aset Kayamas Sdn Bhd, Mizumi Residences by Tadmax Resources Bhd, Trinity Lemanja by Trinity Group Sdn Bhd, Fortune Perdana Lakeside and Fortune Centra by Asian Pac Holdings Bhd, Unio Residence by Aikbee Group, eNESTa Kepong by Thriven Global Bhd and Amona Group, Three33 Residence by TSI Domain Sdn Bhd and Lakeville Residences by Mah Sing Group Bhd. Property experts say traffic congestion, thanks to the growing population, has become a big issue in the area. 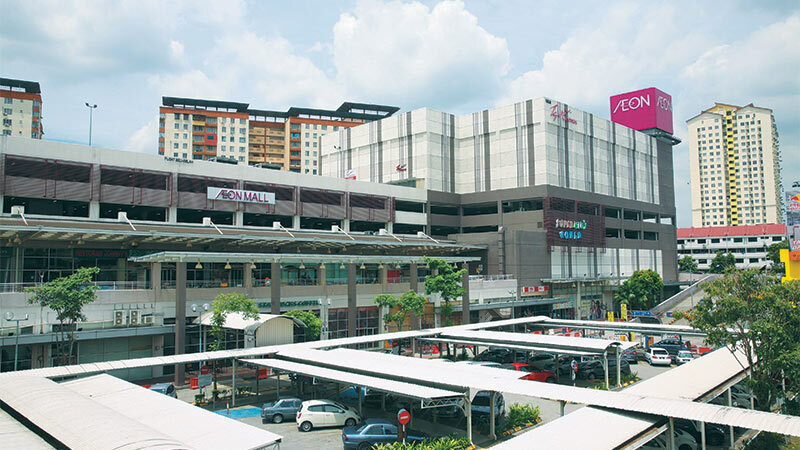 “Kepong is now highly populated and Jalan Kepong is one of the busiest thoroughfares. 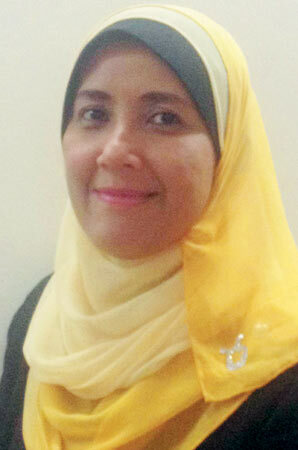 Road widening would help to improve traffic flow and MRT2 is expected to decrease traffic volume further, especially during peak hours,” says Saleha. She adds that DBKL is also considering including in the development plans the measures to redevelop dilapidated industrial areas as well as upgrade the infrastructure and community facilities and utilities in the residential areas in the new villages in Jinjang North and Jinjang South. According to Saleha, the new villages are typically made up of extended families whereas new homes are generally bought by first-time owner occupiers. Lek says about 30% of the residents are Chinese, which is above the national average, and most of the buyers of the latest high-rise property launches are Chinese as well. “Most of the recent demand was for the new high-rise residential launches, beginning with The Henge in 2015. This was mostly pent-up demand from nearby residents, as the area did not have many new launches before 2015,” he adds. According to transaction records provided by Tang, units in Vista Mutiara Condominium on Jalan Kepong with built-ups of 950 to 2,000 sq ft were sold at an average price of RM240 psf in 2011 and RM430 psf in 2017. Single-storey terraced houses in Kepong Baru with a built-up of 936 sq ft were transacted at an average price of RM350,000 in 2011 and RM700,000 in 2017. Two-storey terraced houses in Taman Bukit Maluri with a built-up of 1,465 sq ft were sold at an average price of RM600,000 in 2011 and RM850,000 in 2017. In Desa ParkCity, 2,828 sq ft units were sold at an average RM1.5 million in 2011 and RM2 million in 2017. Two-storey commercial shopoffices in Taman Jinjang Baru with a built-up of 1,259 sq ft were sold at an average price of RM730,000 in 2011 and RM1.1 million in 2017. 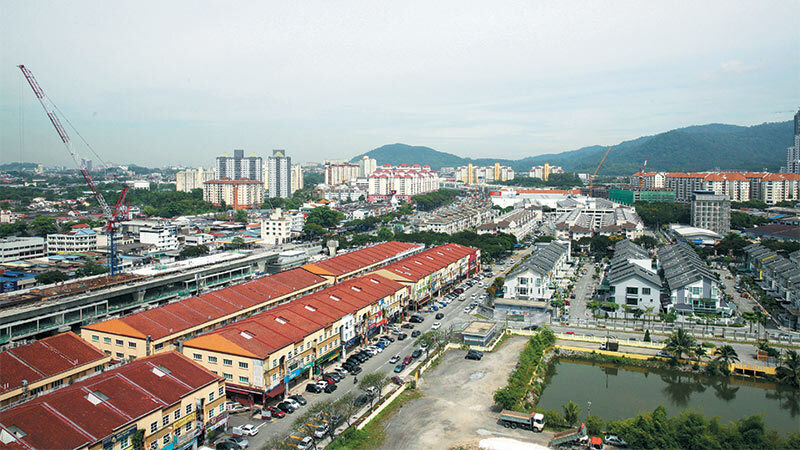 In Jinjang Selatan, 1½-storey industrial terraced factories with a built-up of 3,404 sq ft were sold at an average price of RM1.1 million in 2011 and RM2.2 million in 2017. Meanwhile, in Kepong Entrepreneurs Park, 1½-storey units with a built-up of 1,518 sq ft were transacted at an average price of RM600,000 in 2011 and RM1 million in 2017. Similar to new villages close to the city centre, Kepong and Jinjang have redevelopment potential as their overall land areas are sizeable enough for the development of townships, Saleha says. “Redevelopment would offer residents a more liveable environment. Also, a comprehensive ecosystem that offers a variety of education facilities for people from all walks of life as well as social and cultural amenities could be created so that the area will be more vibrant,” she adds. However, the biggest challenges are land issues and the residents’ willingness to accept changes, she says. With the completion of MRT2, Kepong will become more accessible and attractive, he says, and with the newer developments, there will be more amenities to suit the current lifestyle of home buyers. 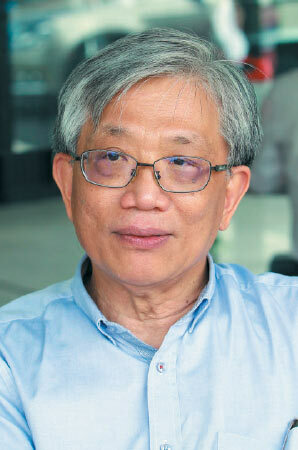 MRT2 is definitely the biggest game changer for the Kepong area, says Lek. “Coupled with the recently completed DUKE2 that reduces travelling time to the city centre and some large-scale developments by well-known developers such as UEM Sunrise Bhd (72-acre development by Kepong Metropolitan Park) and SkyWorld Development Sdn Bhd (50-acre development in Taman Fadason), we expect more vibrancy and external demand,” he says.